I just want to suggest, once again, to those wanting to conceive using their own eggs /sperm, look into Hyperbaric Oxygen Therapy (here is one of many info links: OxyMed.com). HBOT [Hyperbaric Oxygen Therapy] increases microcirculation (neoangiogenesis), and it also increases circulating stem cells. There has been evidence of ovarian stem cells in mice, seen in the production of new follicles. My guess is, it might take 90-120 days following HBOT for higher quality eggs to ripen and be ovulated. 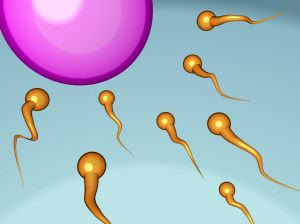 Sperm quality also improves within weeks after HBOT. I would suggest, acupuncture and herbs (and why not colon and liver cleansing) for improved hormonal balance. Optimizing nutrition/reducing seems seem obvious. Then, some brave soul, try the HBOT! It's lead to more than one miracle cure in brain and even spinal cord regeneration; why not the ovaries? FYI: Anyone suffering from Lyme disease symptoms that wants to learn about hyperbaric oxygen (HBO), you can do so at the Lyme disease research database.